One concern I had about this headset is how it feels on… especially with the earpiece needing to be inserted into the ear canal. I wear my BlueAnt for long stretches, and it's so light and comfortable I can't even tell I'm wearing it sometimes. Since it sits on the ear, not in it, I can hear fine out of that ear while wearing it; will I be able to wear the HX1 as long? Also, putting the HX1 on takes a little more work than just hooking the BlueAnt on my ear, and hopefully that won't be too distracting while driving (defeating the purpose of a BT headset!). The fitting attachments look a little strange; two are different size loops and two are springs. They are meant to push against part of the ear near the canal and hold the headset in place. Once I chose the ear cushion that fit best, I have to say it's quite comfortable (be sure to give each one a good try). And the easily-pivoting ear clip really isn't an issue after all. I'm not sure if it'll be comfortable for hours at a stretch, or if the plastic clip will survive hundreds of times putting on and taking off the device. Only time will tell. After using it for a short time, I've come to think that the ear clip really isn't necessary; since the device sits deep in the ear, and the attachment fits snugly, it stays in just fine without the ear clip. It's actually far more comfortable than I expected; I feared it might give me that feeling you get while wearing earplugs, but it doesn't. Also, without the ear clip, I can get it on and off with ease. The HX1 has two settings; the standard CrystalTalk noise reduction and Stealth Mode. CrystalTalk actually works great for blocking out noise. It has an external mic that cancels out noise very effectively; at least as good as any headset I've used. Incoming and outgoing speech seem very clear. However, for extremely noisy environments, including convertibles with the top down, concerts, crowded city streets, etc., Stealth Mode offers something no other headset on the market can; complete cancellation of all outside noise. And it works! The external mics are turned off, and it uses bone conduction alone to capture your voice. Not surprising, the sound quality is adversely affected; outgoing speech will not be as clear. Speaking more slowly and clearly will help, as will not yelling (as you will feel inclined to do in such a loud environment). It's been about two weeks since I first paired up the HX1, and the reviews are in. This is by far the best BT headset I've ever used. Unlike every other Moto BT headset I've tried, the HX1's audio quality is superb, incoming and outgoing. Under normal ambient noise conditions, the standard CrystalTalk noise cancelling is better than any other headset I've tried besides the Jawbone (including the Cardo Scala 500, Blue Ant Z9i, Jabra BT800, Jabra JX-10, Sony-Ericsson HBH-660, etc. ), as is the sound quality. Nothing else even approaches the HX1 in Stealth mode. I did a test with my top down (windows down) at 70mph with the stereo blasting. I held a conversation with a friend while in Stealth mode. After a few minutes I asked how I sounded. My friend said he could tell I was on a BT headset, but that I was certainly audible. I asked if he could hear the wind noise or stereo, and he said he couldn't. Then I turned off Stealth mode, and he couldn't believe how much background noise there was. Meanwhile, with the in-ear design, the headset was plenty loud enough for me to hear him (although the radio was distracting!). 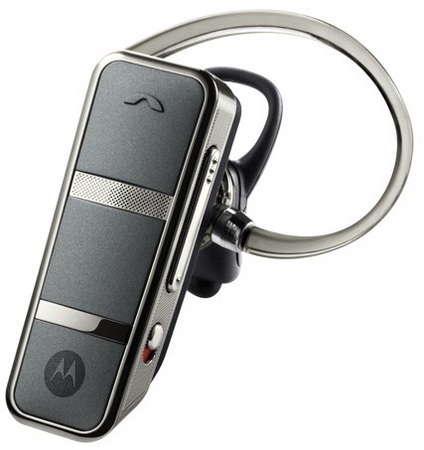 Bottom line is that Moto solved the problem of talking on the phone in high ambient noise conditions. I can hardly imagine a headset working better. Still, there are just a few small beefs I have with the headset. 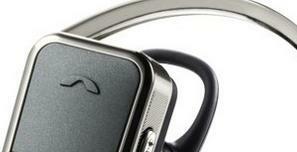 First is that I will miss the clip on the BlueAnt Z9i. I don't like putting these things in my pocket, and the Z9i offers an alternative to keeping it in one's ear; integrated in the ear hook is a clip (like a pen clip) with which the device can be securely attached to an article of clothing or a key lanyard. It's a nice touch from BlueAnt. Also, on a few occasions when I've turned the HX1 on, its voice menu has said it's ready for pairing (even after it's paired). Power cycling it has solved the problem every time. These are not deal-breakers by any stretch. If you have problems talking on your cell phone in noisy environments or just want the best-sounding headset on the market, the Moto HX1 Endeavor is well worth the high $130 price tag. Or check out the HX1 on Amazon.